Ditat Deus [dee-taht de-oo s; English dahy-tat dee-uh s, dey-uhs] has been translated as: "God Enriches." The motto has remains unchanged since its introduction by Richard Cunningham McCormick in 1863. The motto was provided by the writer and journalist Richard McCormick who was appointed secretary of the Arizona Territory by President Lincoln. Ditat Deus served as the motto of the Arizona Territory from 1863 to 1912 and has served as the motto of the State of Arizona since 1912. The motto is an expression, most likely biblical in origin, of a very deep religious sentiment. A shield with the motto Ditat Deus, which means God Enriches, lies in the center of the seal and contains symbols of Arizona's key enterprises. Arizona's motto, Ditat Deus, meaning God enriches, is in all probability derived from Genesis 14:23 of the Latin Vulgate Version of the Bible. 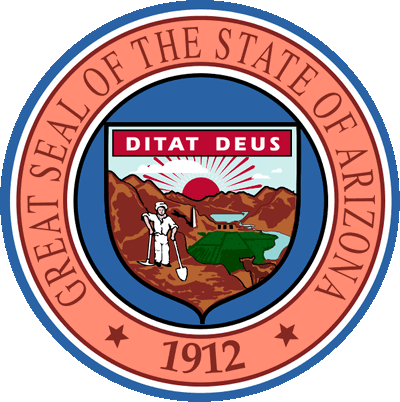 Ditat Deus served as the motto of the Arizona Territory from 1863 to 1912 and has served as the motto of the State of Arizona since 1912. 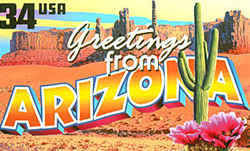 It is displayed on the current Great Seal of Arizona. Richard Cunningham McCormick, Jr. (May 23, 1832 - June 2, 1901) was an American politician, businessman, and journalist. He served as the second Governor of Arizona Territory, three time Delegate to the U.S. House of Representatives from Arizona Territory, and as a Member of the U.S. House of Representatives from New York. McCormick's other accomplishments include service as a war correspondent during two different conflicts and creation of two Arizonan newspapers. 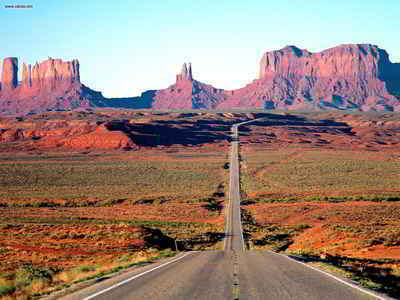 The law designating the official Arizona state motto is found in the Arizona Constitution, Article 22, Section 20. This statute describes the Arizona State Seal. The motto is specified within this description. Article 22. SCHEDULE AND MISCELLANEOUS. Section 20. Design of state seal. 20. Design of state seal Section 20. The seal of the State shall be of the following design: In the background shall be a range of mountains, with the sun rising behind the peaks thereof, and at the right side of the range of mountains there shall be a storage reservoir and a dam, below which in the middle distance are irrigated fields and orchards reaching into the foreground, at the right of which are cattle grazing. To the left in the middle distance on a mountain side is a quartz mill in front of which and in the foreground is a miner standing with pick and shovel. Above this device shall be the motto: "Ditat Deus." In a circular band surrounding the whole device shall be inscribed: "Great Seal of The State of Arizona", with the year of admission of the State into the Union.